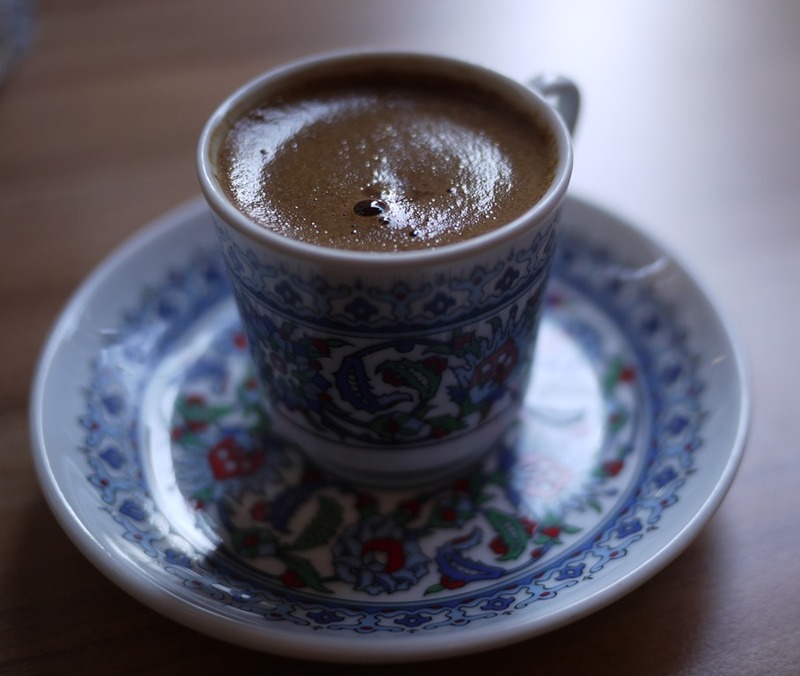 Thick, sweet, caffeinated goodness, oh how I love you… especially when served in tiny colourful cups amidst the whir of Turkish culture. For the love of you, I have been led into hidden bookish courtyards, I have whittled hours watching passers-by, and I’ve been persuaded to perform foreign stove-top rituals at the risk of shame and dishonour. But oh how you’re worth it, my tasty Turkish dream cup! My affair with Turkish coffee came to an abrupt end last week (as I followed my heart to Spain for the love of tapas and wine). 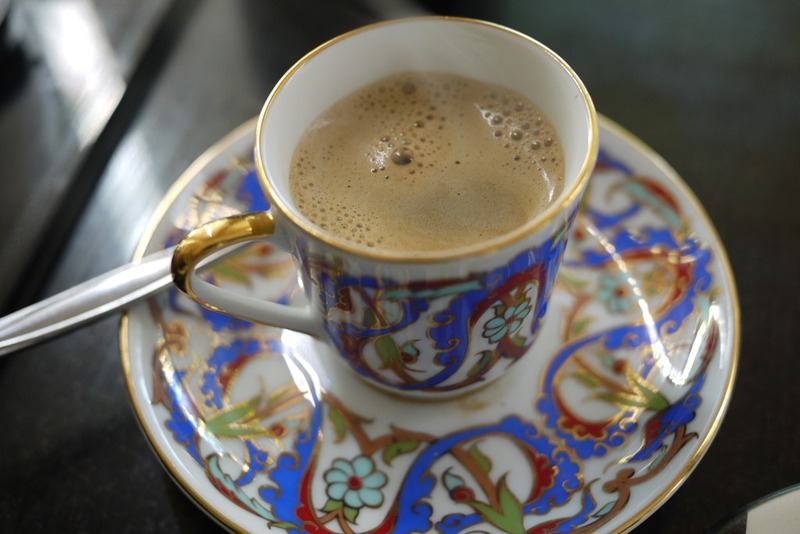 I feel that I now owe Turkish coffee a post of gratitude, a declaration of adoration, and that I should share my Turkish coffee adventures so everyone can know how it delights the senses. Here is a little bit about the fun I had making and consuming Turkish coffee during my one month stay in Istanbul. 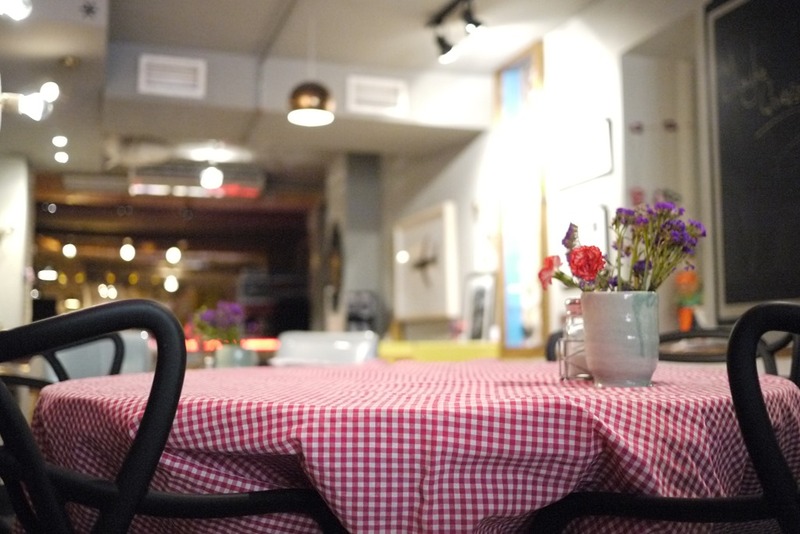 If you’ve read me before, it should come as no surprise that I’m a little infatuated with cafes in general. When I think of the places I’ve seen the past five months, I recall that amazing statue, the great local music, and that much-loved local cafe I stumbled across. When I think of Istanbul, my memory is ablaze with colours and culture, cataloguing the sights, smells and the many cafes I spent hours finding and enjoying. I’ve listed a few of my favourites for you to explore. 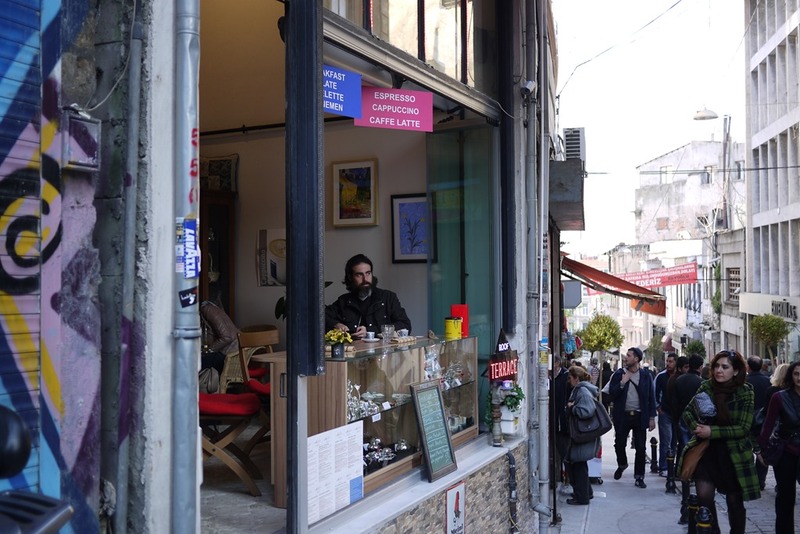 Hidden down a curious little street near the Galata Tower, this quiet, quirky space is a gem of a find. With shelves of books and trinkets, a table made from a retro washing machine, street-side cushioned stools and local designs up the back, this space is small but cosy and oozes with creative charm. 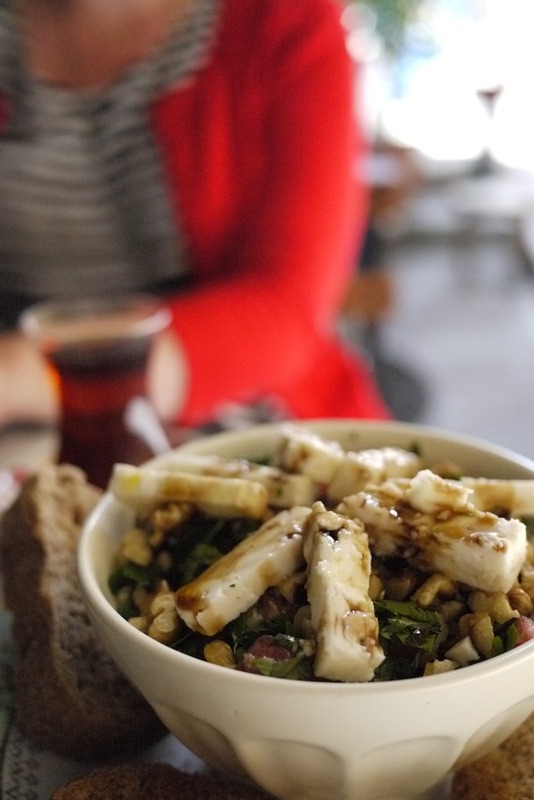 Besides the very yummy Turkish coffee, I can recommend ordering the ‘Good Morning Princess’, a salad made of walnuts, feta, tomato, parsley and pomegranate juice – oh my! Open everyday from 8am to midnight, this space also transforms to an arts entertainment hub with all sorts of interesting musical, intellectual and artistic events in the evening. To find it: Serdar-I Ekrem Caddesi 31/A Kuledibi, Beyoglu – As you walk down the hill on the main street from Taksim, after Istiklal Caddesi narrows to a cobblestone lane, turn left when you can see the Galata town on your right. 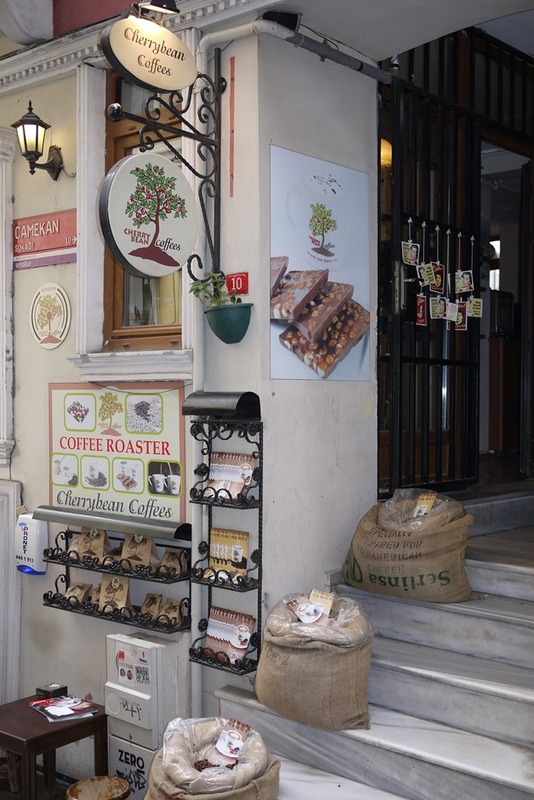 The pungent delight of freshly roasted coffee beans wafts through the bendy Galata streets and leads you to this friendly specialty coffee house. Not only do they serve a great Turkish coffee, but they also blend a mean espresso or iced coffee, unlike so many others in Istanbul. The cafe is tiny and the street seating is the best pick, allowing you to watch puffed tourists drag themselves up the hill, cats prowl in street shadows and the locals dart in and out of narrow lanes. Keep an eye out for the kids puzzles on the tables inside. Much to my disgust, neither Dave or I managed to solve them in the time we ordered, consumed and left. The boutique hotel, Galata Life, has a little cafe in the front with a comfy feel and a great view of the busy central street, making it a wonderful spot to drink Turkish coffee and stare at the passing wonders of Istanbul. From your street-side pew, watch the man across the road hawk postcards and collect old men to joining him in the game of chain smoking and see musicians, laden with instrument cases, make their way to and from neighbouring repair and sale shops. This was the mysterious cafe find of my Istanbul visit. Tucked away in a courtyard edged with book stores and vintagey shops, this home-grown cafe is the real-deal local scene. I have to give all credit to my new local friend, Gulsah, who led an unsuspecting me into this delightful hideaway to an oasis of interesting Istanbullus sitting in a crowded corner of little baby stools. The coffee was great, the atmosphere was better and I found some great photos for a lira each next door. Find it: The only downside is that I couldn’t find this place again. Here is the only information I have. The directions say “Enter into the left bank opposite the gateway YapıKredi Galatasaraydaki consultant”. I remember walking through an arcade of sorts before coming out into the courtyard. If you find it, please let me know! It would be lovely for someone to confirm that this was not the Narnia wardrobe experience that it seems. I must declare up front that I am no barista. Nor am I particularly (or remotely) gifted in the ways of cooking, brewing or general kitchen-ness. That said, I was so delighted with my Istanbul cafe adventures that I decided to try my hand at home-made coffee. Here’s the recipe I used. You will need a little pot for the stove, cold water, sugar, Turkish coffee grind, a spoon and a delightful little cup from which to drink. Pour a cup of cold water per serving into the coffee pot and add half a cup more for the pot. Add a teaspoon of ground Turkish coffee for each serve and stir. (I added a little more ‘cause I like it strong). 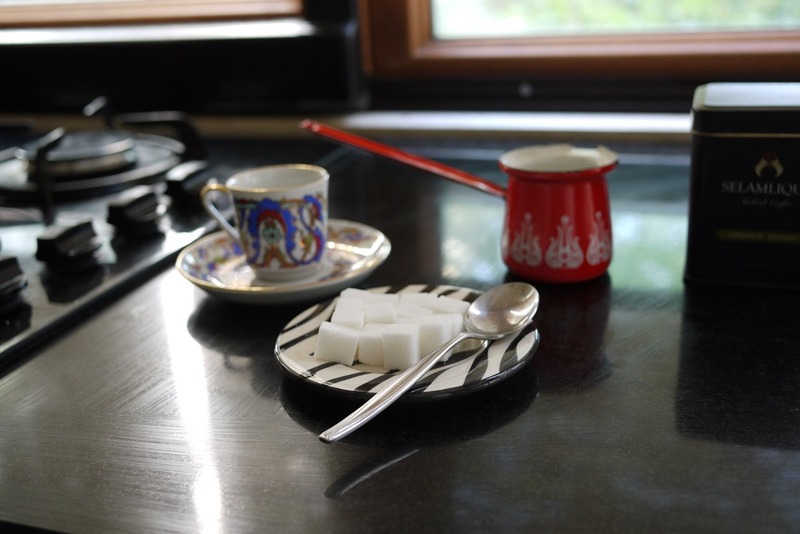 Plop in the sugar (the Turks use cute little cubes) to taste. Put one per serve for a little sweetness, 2 per serve for ‘medium’ and as much as you want per serve if you’re a real sweet tooth. Then slowly heat your pot over the stove. The trick is to keep the temperature low (be patient little one) and don’t let it overflow or burn. 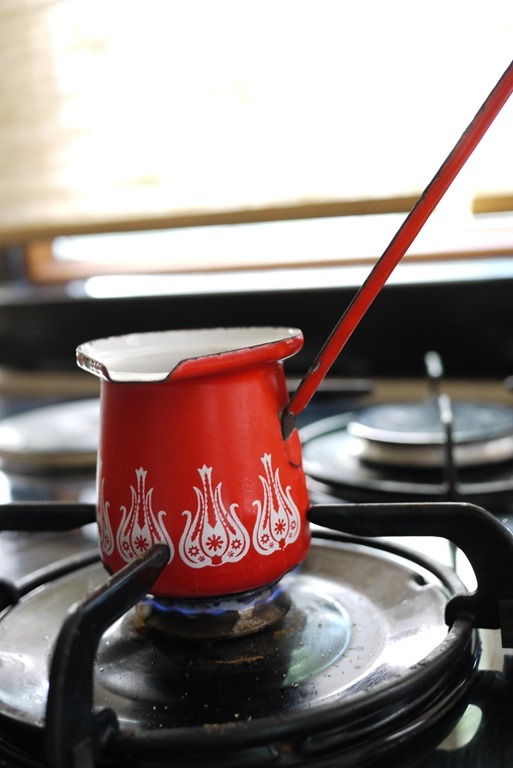 Once the coffee starts to boil, evenly pour ¾ of the pot into pretty patterned cups before setting the pot back on the stove to boil the remaining quarter. As the remaining liquid comes to a slow boil again, top up each of the cups. Then, more patience my pretty, as you let the grind settle to the bottom of the cup. You’re aiming for a fat layer of grind sitting on the bottom of your cup and frothy bubbles on the top to indicate your worthiness as a coffee maker (and in Turkish tradition, you ranking on the wife-material and real Turk scales). Drink with delight, remembering not to swallow the grind (it’s like coffee flavoured sand). If drinking with friends, pass them your cup and ask them to read your future in the overturned grind. 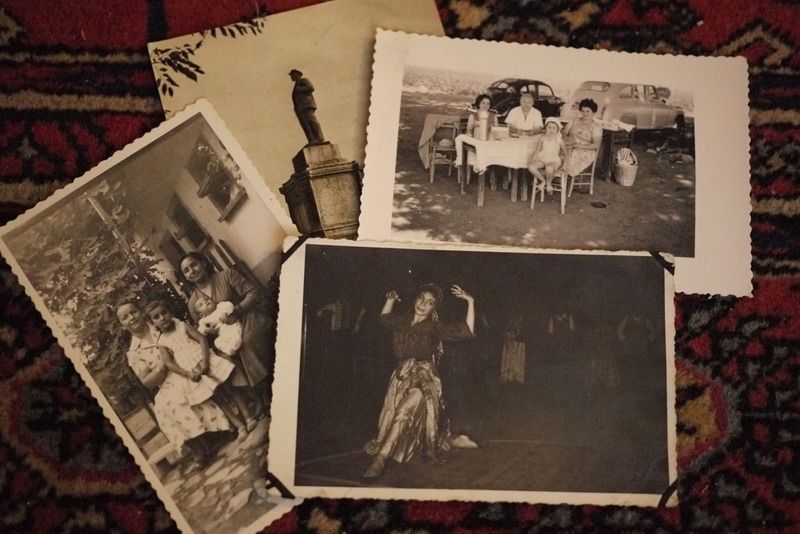 This playful tradition is shared in coffee shops across the city but it has spiritual roots in Turkish gypsy culture. You can also try asking for your fortune to be read in Beyoglu cafes. Just in case I’ve confused you, let me confirm: I’m now in Spain walking el Camino pilgrimage trail to Santiago de Compostella and all of last month I was in Istanbul, Turkey, exploring the rich city culture. Check out the list of posts on the right for more about Turkey, and stay tuned for updates as I walk 700km across the Spanish countryside. Thanks 🙂 It’s a delicious and a fun way to get a caffeine hit. Hope the home brew goes well! Thanks for linking to me Chalikovas! There is nothing quite like great coffee in a cozy coffee shop with street view. My kinda fun! Thanks Diana, this makes me happy. I’ve spent all year searching for the best cafes across Europe (and Morocco) and have quite a few gems on my list. Once I’m done writing about all the places I’ve seen, I’ll be publishing a post about my favourite cafes, so keep an eye out. Excited you’re heading to Istanbul soon. I love that city! Hope you enjoy your trip and yes, please, I’d love to hear about your cafe adventures there! Thanks Khristina! Yes, I’m keen to get back into the little joys of domesticity now I’m back home, including making coffee. It is such a lovely thing to take time to sit, enjoy a coffee, feel the sunshine, watch the real world and consciously connect with it before proceeding with your day. Thanks for reading and sharing your support!